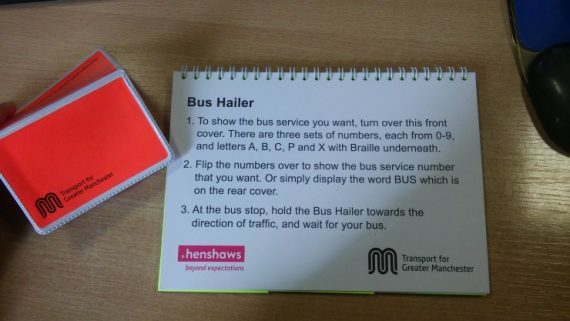 We were delighted to help Henshaws and Transport for Greater Manchester design a bus hailer to help visually impaired people in the Greater Manchester area. The bus hailer is a flip pad that uses both bold and embossed numbers and letters, with the braille version underneath. 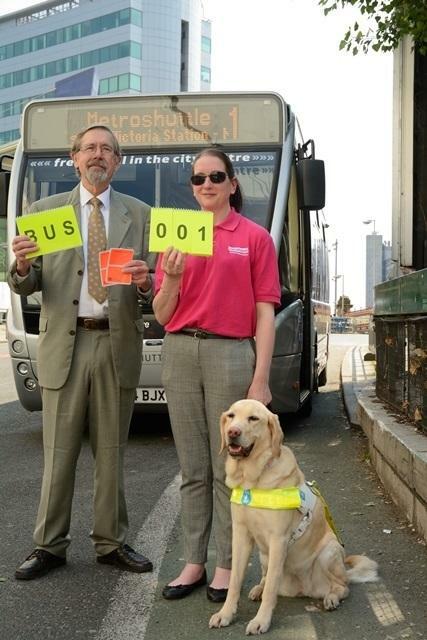 Passengers simply select the number of their bus and hold it up to oncoming traffic, so that the bus driver can easily identify if he needs to stop. The word ‘bus’ is also available so passengers can still flag down a bus even if they are unsure of the number. 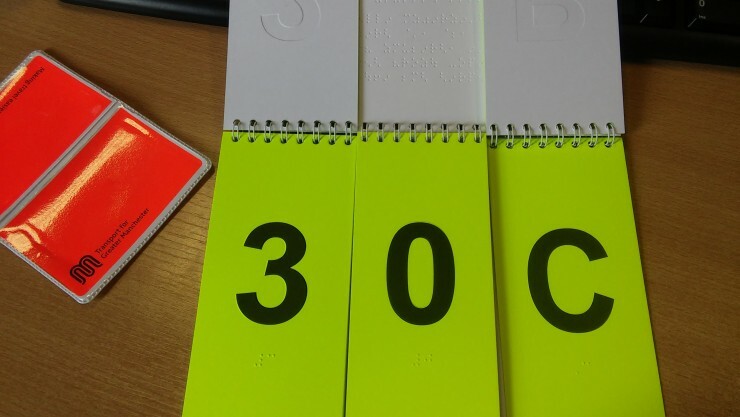 This new initiative is making a big impact for visually impaired people and we really enjoyed working with them on this project. You can find out more about the Henshaws and TFGM project here.